Think BIG…and small with a Morrison drive-in systems. Big savings, big volume, big efficiencies and big productivity; all at a small cost per square footage. Drive-in rack is ideal for large volume storage of low-rotation products. 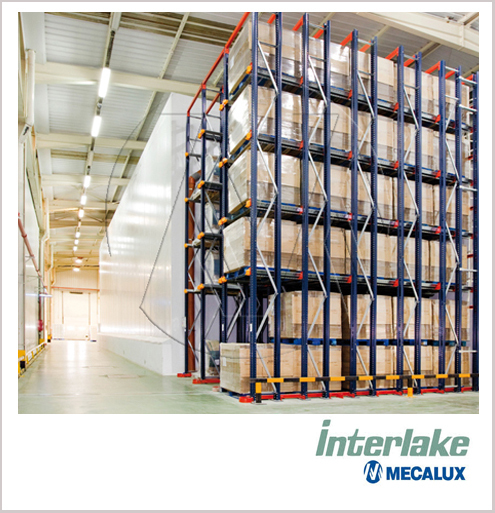 In ambient, cold and freezer applications, this system can save up to 35% in square footage while storing up to 75% more pallets than traditional rack. Drive-in rack is ideal for LIFO inventory control of long shelf life, non-stackable goods. Fork trucks drive right into the rack to place pallets from 2 to 10 deep. Fork trucks back out of the rack through the same opening thus saving aisle space and decreasing storage and retrieval time. Morrison Company will design a drive-in rack system ideally suited for years of storage use in your facility. Both roll-formed and structural steel applications are available.